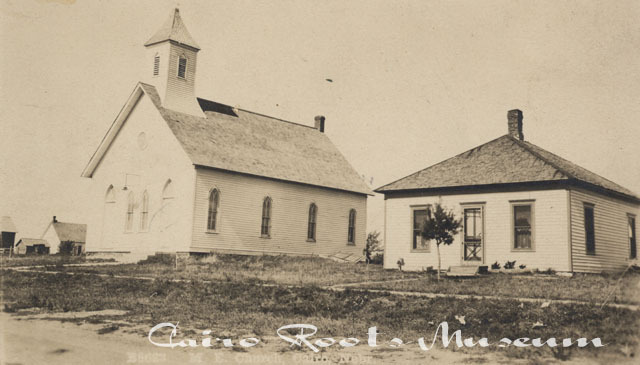 - This church building was originally located on the James Hulett farm two miles south of Cairo and was called the Berwick Methodist Episcopal Church. It was built in the early 1880's and was moved into the new town of Cairo by teams of horses in September, 1886. Around 2002 the congregation built a new church and the old church building was sold and is now used as a residence.